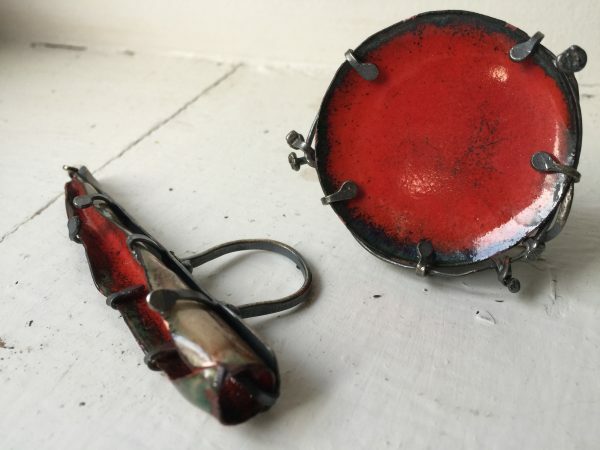 Susan Lenart Kazmer’s work is built on years of researching cultures, repairing ethnographic adornment, art school, training in the craft of metallurgy and a strong fashion background. Her work creates a unique industry voice of Raw Authenticity and Expressive Adornment. 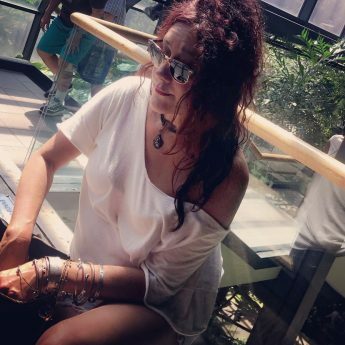 You’ve swooned over her jewelry designs. Gorged on techniques in her best-selling books. Purchased so many of her many wonderful products. 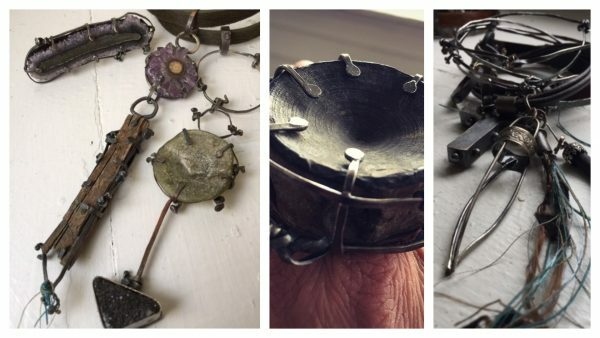 Now learn from the iconic Susan Lenart Kazmer in her 3-day workshop, Forge, Cage, Wire & Fire. One of the most distinctive and prominent details in Susan’s current work is in building and constructing hand hammered forged wire forms that compliment her overall jewelry appearances. Over the 3-day weekend, you will explore this concept and other thought-provoking ideas in jewelry adornment shapes, forms and details. Build in bronze and utilize the technique of drawing a bead on small and large gauge wire to create an industrial nail head appearance and expression. 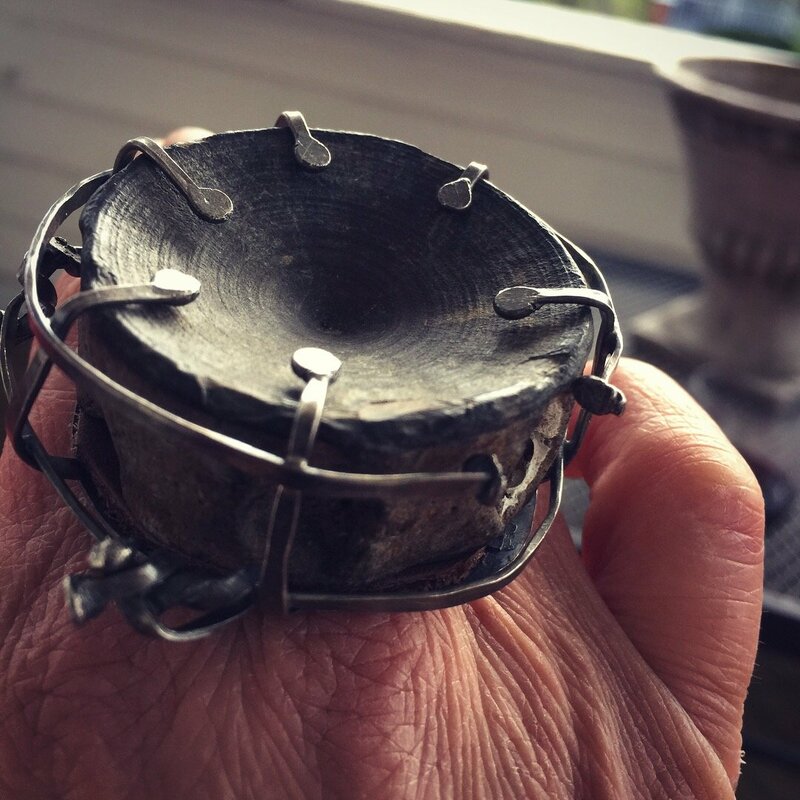 Use layers of wire in length and width to create the Talismans shape of the circle, worn for endless life and triangle, worn for strength, action, and power. 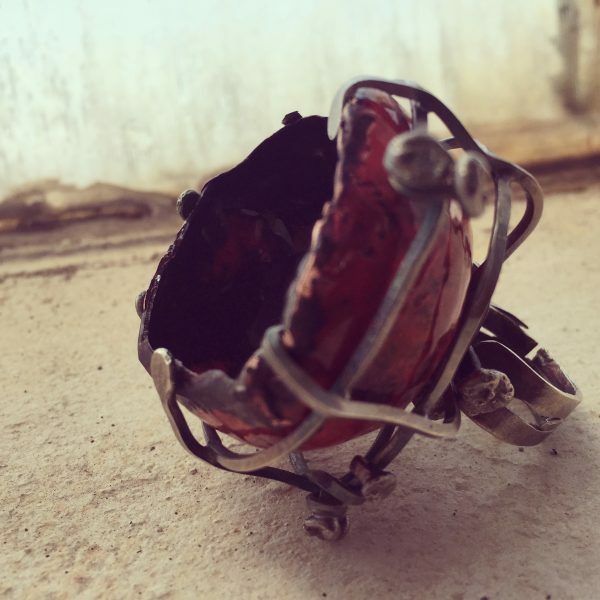 Find your own Talismans vibe while learning practical metalworking techniques. Annealing, hand-hammering, heat join, EZ solder are all reviewed in this workshop. Kit includes 16,12,14 gauge bronze wire, sterling silver 16 gauge, soldering material, sandpaper, stones (most likely Druze) for caging, sterling silver wire for attaching enamel pieces, use of tools, kiln, torches, etc. Those interested in taking this workshop may pay $99 to hold their spots. The $391 balance would be due on or before 3/15/2019. For those taking advantage of the deposit system to hold your spot in the full weekend of classes, the balance of payment can be made via PayPal on this page. Before registering for this class please familiarize yourself with our Cancellation Policies updated September 2018. Your 3-day workshop includes drinks, snacks, and lunches each day. An $85 Kit Fee will be collected the first day of class.